Stream the second single from Guilty of Everything, the debut full-length from Philadelphia rock band Nothing. As we mentioned in our recent "Coming Attractions" round-up, Philly four-piece Nothing is one the rock bands we're most looking forward to hearing from this year. You don't need to know their backstory to appreciate the hard-earned, sad sweetness that bubbles up from every one of their loud-as-hell, metallic shoegaze tunes, but it's also hard to listen to their music without thinking of certain biographical details. 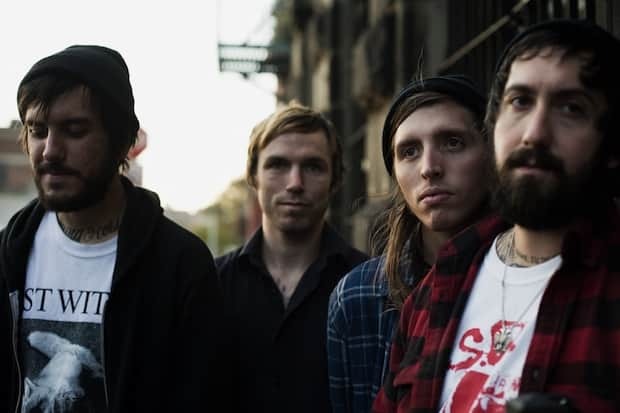 Before he met co-writer and guitarist Brandon Setta, for example, frontman Dominic Palermo once served a 2-year prison sentence for a stabbing, and the band's 2012 EP, Downward Years To Come, was a concept album dedicated to a handful of dead poets who had taken their own lives. Nothing's debut full-length, Guilty of Everything, is due out March 4th via Relapse. It's full of enveloping fuzz baths and cinematic turns, such as the giant tempo and chord change that takes place about two-thirds of the way through second single, "Bent Nail."